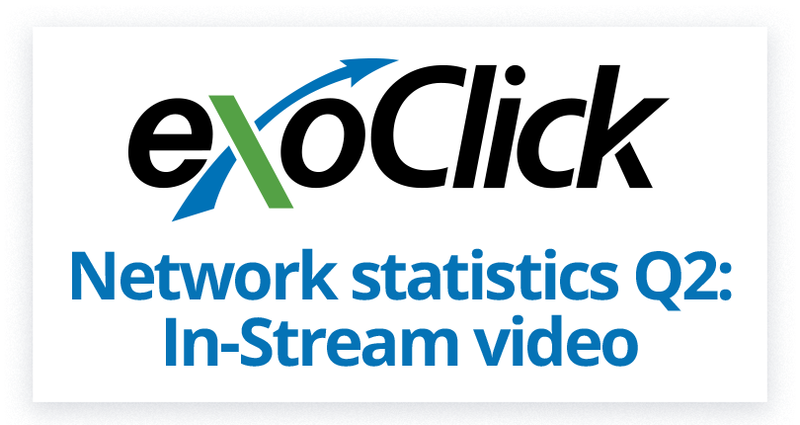 As the industry adopts the in-stream video advertising format, ExoClick’s Business Intelligence team looked through our network data for Q2 to bring you some in-stream video insights. 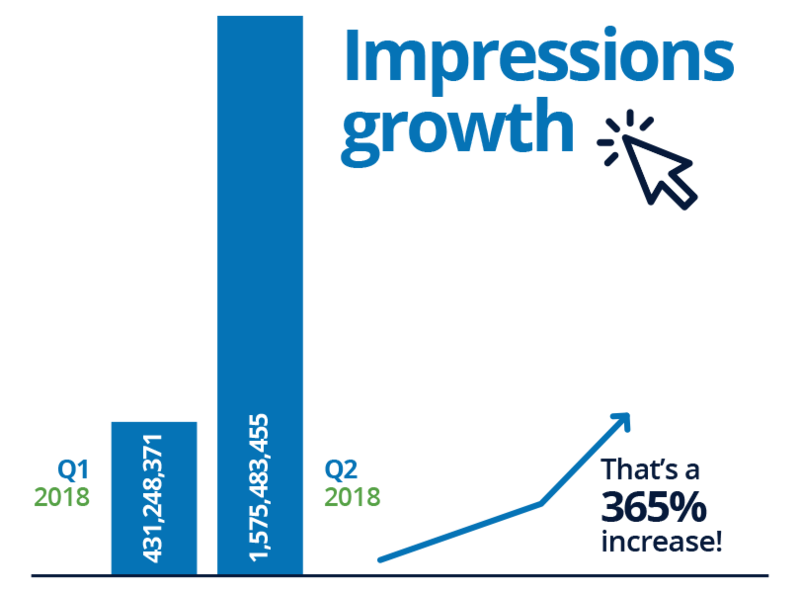 With more websites using the format naturally we have seen a growth in impressions over the last 2 quarters. 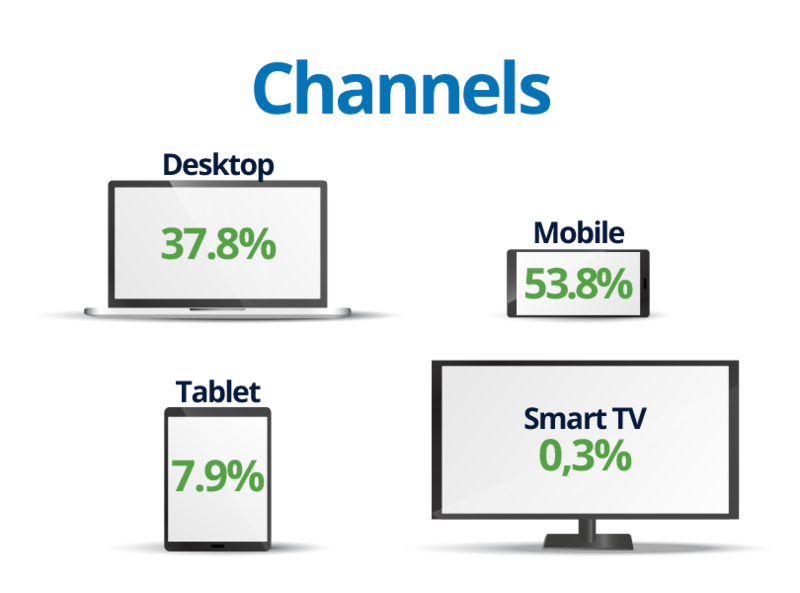 So let’s take a closer look at Q2 and see what are the percentages of video impressions served on each device. 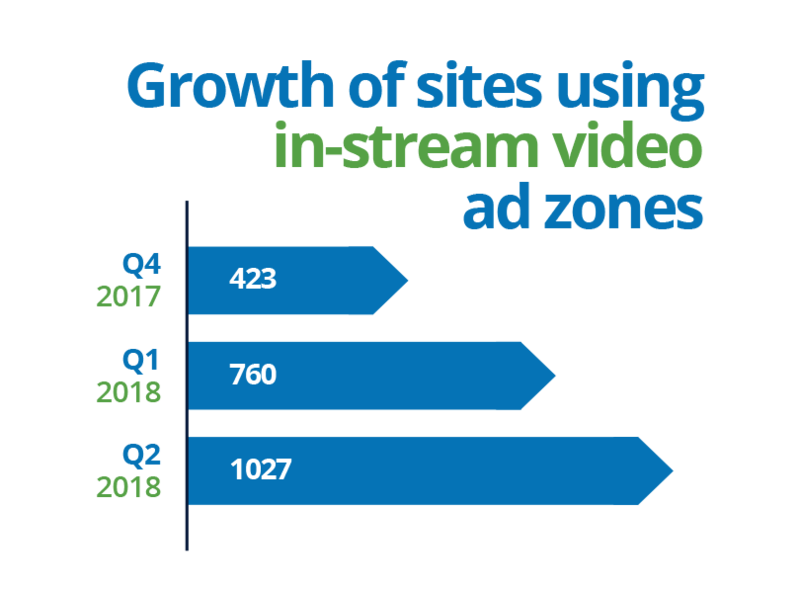 The in-stream format is purchased either as CPM (cost per mille impressions) or CPV (cost per view) with a view being triggered when an end user watched 10 seconds or more of a video ad. Here is a comparison of the percentages of CTR on CPM versus CPV. 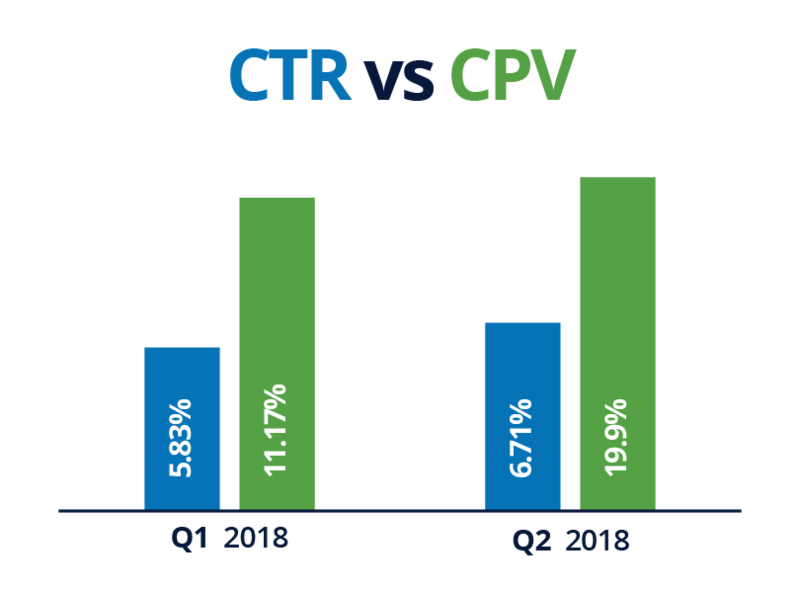 As you can see, while advertisers continue to test the format, better optimise their targeting and improve the creatives of their video ad content we are seeing a higher CTR and CPV for Q2 compared to Q1. 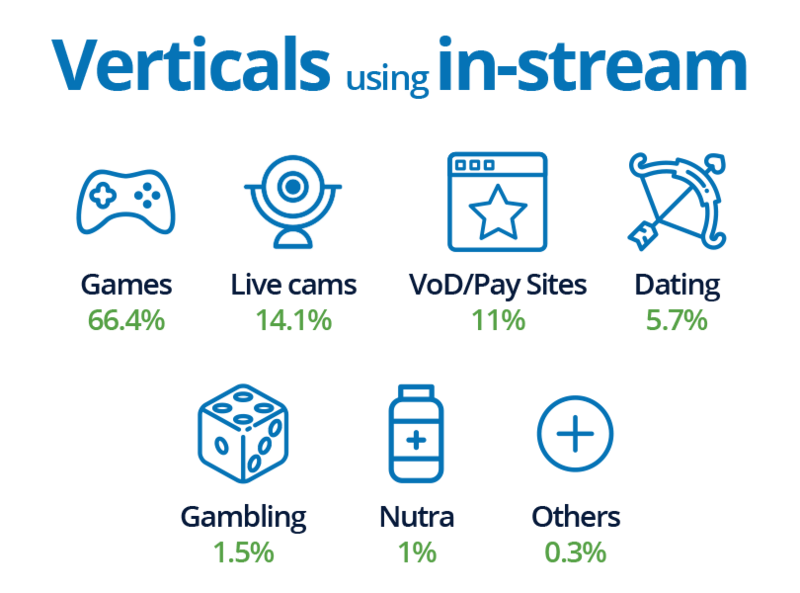 Here you can see which verticals advertisers were pushing with the in-stream video format for Q2.